Posted on December 4, 2014 . 7 Comments. Kettlebells are a waste of time! Or so I thought, until I became friends with Pavel. Fortunately, I eventually decided to start experimenting with kettlebells, and the results have been pretty damn good. When I deadlifted 1,003lbs — and then followed it up a few years later with a pull of 1,008lbs — I was squatting extremely heavy. Way over 500kg. (Feels like the weight of the Earth on your back in case you’re wondering.) Squatting those kinds of weights built tremendous strength in my entire back, glutes, quads, and hammies. Think that helped my deadlift? Of course it did! 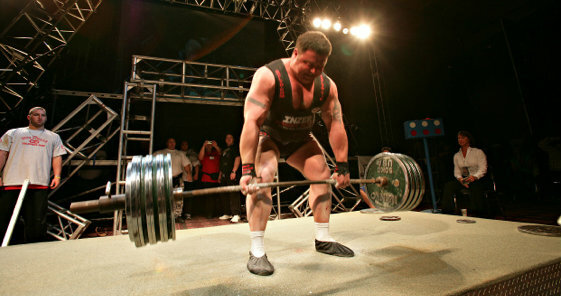 In fact, when I pulled 1,003lbs, I had only gone up to 770lbs in the gym on my competition-style deadlifts. Think about that for a second. It’s kinda weird. However, in 2009 things changed. 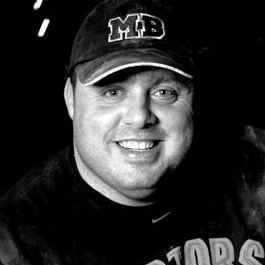 I called 520kg on the squat at the WPC world powerlifting championships, but one side got loaded as if I’d called 560kg. (40kg heavier than it should have been). I went down about halfway with the bar, but I didn’t come back up. (Unsurprising.) The spotters had to help me. I then benched 290kg and pulled 440kg. How Do I Deadlift BIG Without Squatting Heavy? Enter the kettlebell swing. The two-hand version. The foundational exercise for all other kettlebell lifting. Pavel introduced me to this exercise several years ago. We both instantly realized that my body mechanics on the swing were virtually identical to my deadlift mechanics. The great thing about the deadlift and the swing is that the amount of knee bend is significantly less than on a squat. Neither exercise causes my knee any bother. Needless to say – all good things if you’re chasing a bigger deadlift! While I haven’t pulled over 1,000lbs for quite a while, I’m getting close again. I recently deadlifted 380kg in the gym for a double. And it was fast. No big deal. To be honest – 400kg for a double felt like it was there. I’ve never touched those weights in the gym before. Things are once again looking good for the 1,000lbs-plus deadlift! I know there are many excellent exercises you can do with a kettlebell, but I have stuck to the two-hand swing. As an assistance exercise for the deadlift it is amazing. And here’s the thing to remember: you can get very good at a small number of things if you practice them regularly and stick to a proven plan. Or, you can do many things and become a Jack of All Trades and Master of None. Start with 48kg for 5 sets of 5 reps.
Add a set whenever I could until I was up to 10 sets of 5 reps.
Then add a rep whenever I could until I hit 10 x 10. Increase the kettlebell size and repeat. And I’ve done that and worked all the way up to the 92kg kettlebell. Do it at the end of your strength training sessions or on your off days. Start off doing it once a week, then increase to two or three times a week on non-consecutive days. Do not worry about burning out. The explosive nature of the swing means it’s pretty easy to recover from. Give it a try (starting with a size of kettlebell appropriate to your strength level). Of course, the swing on its own won’t give you an outstanding deadlift. It’ll build your work capacity. It’ll make your deadlift muscles strong. And it’ll give you a vice like grip. But, sooner or later – you have to do some deadlifts. 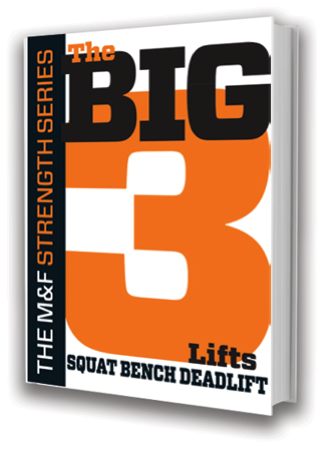 In my new book – The Big 3 – I explain exactly how to perform your deadlifts, squats, and bench presses correctly. 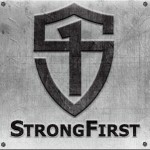 You’ll also get a simple, yet highly effective program for ramping up your strength quickly on those three lifts. Throw in some two-hand swings and you have a program that’ll make you truly STRONG. Great article. It looks like you pull conventional so it may not be as much of a transfer for you. I’d be curious to know if you do any double bell work such as double 48’s for example? It should create more/different challenges that you could possibly benefit from. Thoughts, sir? Sure, but good luck comfortably swinging a 48kg dumbbell ? I noticed the same thing– maybe it is 5×5 to start? What’s the best method to go from 5×10 to 10×5? Honestly? I thought you would start out at 5×5, work up 10×5, then work up to 10×10. This is a program I can get behind.